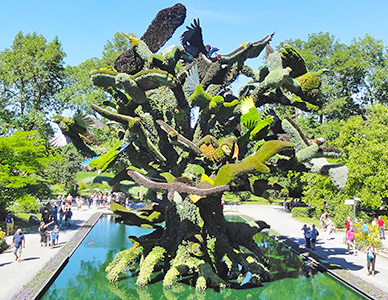 Discover your “joie de vivre” in this bilingual metropolis with its sizzling cultural, arts and urban scene. 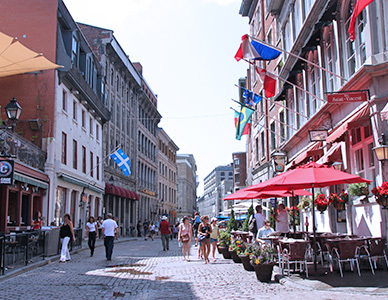 Enjoy a unique mix of old European charm and lively urban culture in Montréal, the largest French-speaking city in the world outside of Paris. 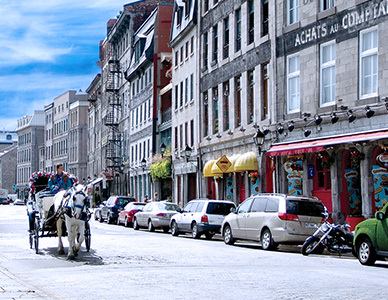 This metropolis of 3.8 million people offers culture around the clock, in both English and French. 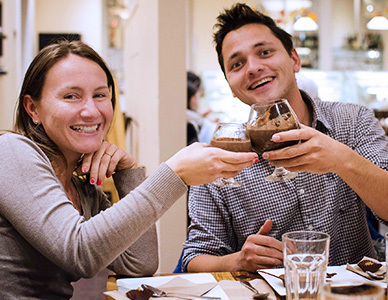 If you’re passionate about the arts, film, food and fashion, you’ll fall in love with the city as soon as you arrive. Discover old-world architecture and modern style in the city with many chic shopping districts and lush green parks. 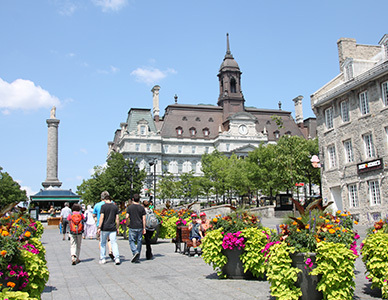 The city’s unique character was shaped by the French, the English, and immigrants from more than 80 countries which has created a captivating mix of culture and diversity. 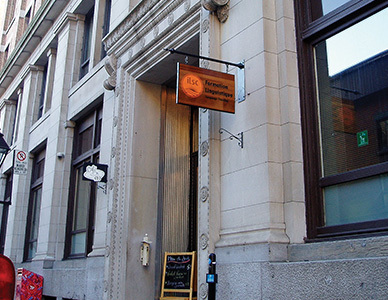 ILSC-Montréal is an official language test centre for TEF Canada and TEFaQ. 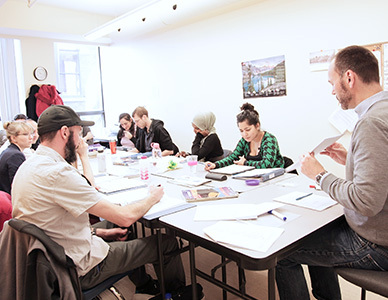 Choose from a wide selection of courses and programs customized to suit your passions and goals. 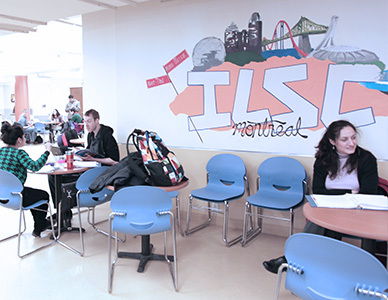 ILSC-Montréal offers comprehensive French studies, as well as bilingual (French and English) study and accommodation options. 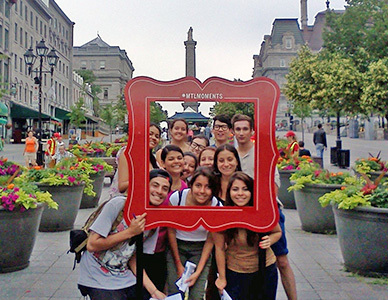 Learn about the city in the French through Montréal course, and take programs like the Volunteer Experience Program or Working Holiday Programs. 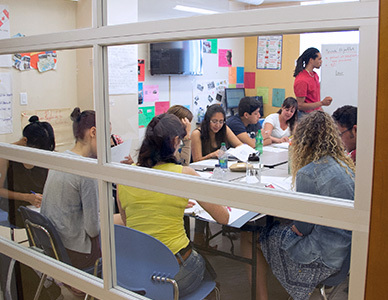 ILSC-Montreal also offers a French Teacher Training vocational program. 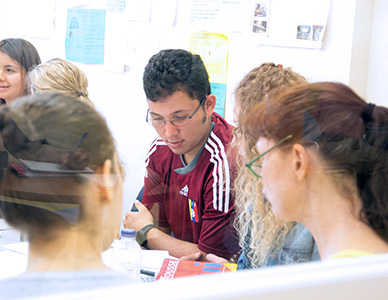 Learn more about CEFLE (Certificat D'Enseignement du Francais Langue Seconde ou Etrangere). 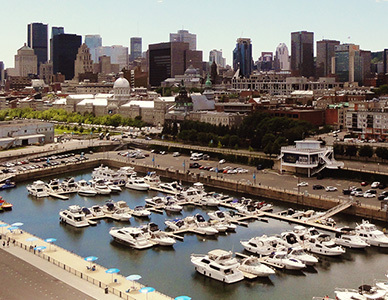 If you are coming in from an international flight, you will be landing at the Montréal-Pierre Elliot Trudeau International Airport, which is located approximately 50 minutes from the school by public transit. The 747 bus line service runs regularly between the airport and the Gare d’autocars de Montréal terminal downtown. 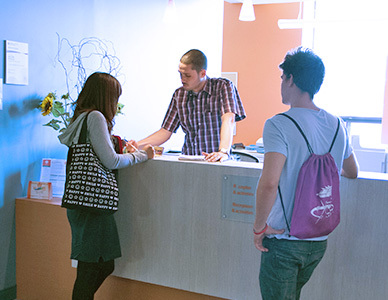 It is mandatory in Canada for international students to provide proof of medical insurance when you arrive. ILSC can arrange the purchase of your medical insurance through Guard Me International Insurance. Visit https://www.guard.me/ for more information. 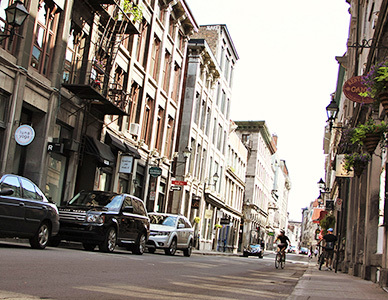 Montréal is generally a very safe place to live and study, but it is important to look after yourself and always be aware of your surroundings. Take care of your belongings, and avoid carrying large amounts of cash with you. Always use your common sense, whether at school, at home or outdoors. In Canada tipping is generally expected in restaurants, bars, hotels and other service industries such as hairdressers and taxis. It is customary to tip approximately 15% on the total bill in restaurants. Keep in mind that many restaurants and bars will automatically charge 15% or more for larger groups, so make sure you check the bill before calculating your tip. 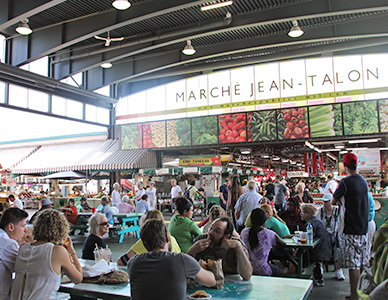 Taxes are generally not included in the advertised price of goods in Quebec. Most products and services are subject to a 5% Goods and Service Tax (GST) and 9.975% Quebec Sales Tax (QST), which will be charged when you pay. 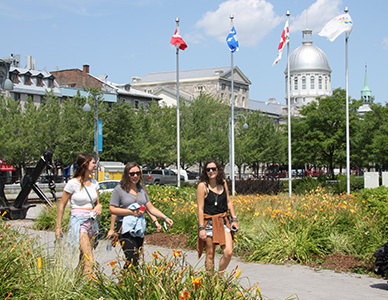 Most car rental companies in Quebec require drivers to be 21 years of age, however many companies will charge additional fees for drivers below the age of 25. 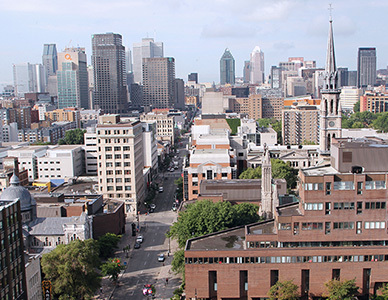 While in Montréal you should make sure you have sufficient funds to cover your living expenses while you're studying. 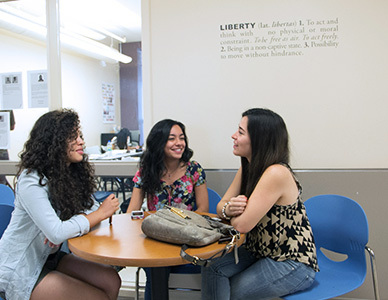 In addition to tuition fees, airfares and medical insurance, living costs may include but are not limited to: rent, food, groceries, transport, utilities, entertainment and clothing. 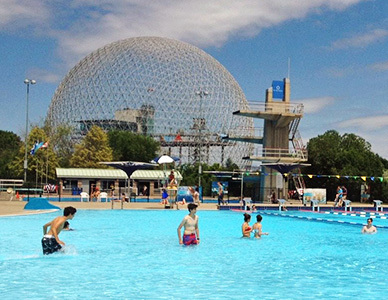 Montréal is known for its climate extremes. It has warm and humid summers, and extremely cold and snowy winters. The summer months are June to September, where temperatures range from 20°C to 27°C, perfect conditions to get outdoors. Winter months are December through to March, where temperatures can fall well below zero with freezing winds and heavy snowfall. Warm gloves, shoes and coat are a must! Montréal’s public transport system has a great network of train and bus services operating throughout downtown and metropolitan areas. For more information on the services available, timetables, ticket costs and more visit: www.stm.info/en. 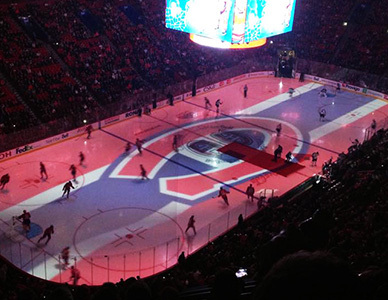 The legal age to buy and drink alcohol in Quebec, Canada is 18 years. 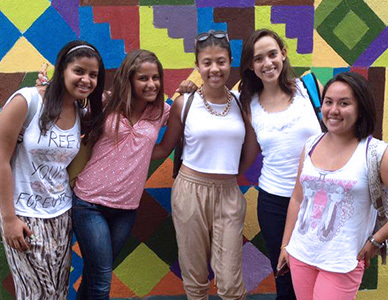 Connect with friends at ILSC and explore Montréal with daily after-school activities. 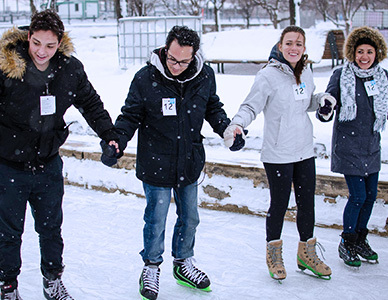 The activities vary depending on the season and can include things like cycling, rollerblading, canoeing on the St. Lawrence river, skiing, skating, movie nights, visiting local restaurants and more! 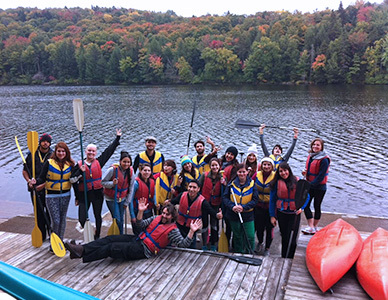 Afternoon activities typically have minimal fees and an ILSC teacher or activities coordinator will be your guide. Some weekend trips include travel to the USA for shopping or other activities. 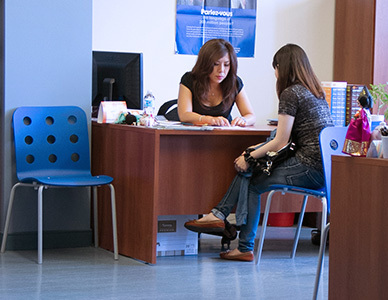 If you plan to enter the USA while you are studying in Canada, you need a separate USA Visa. For most students this must be organized before you come to Canada. 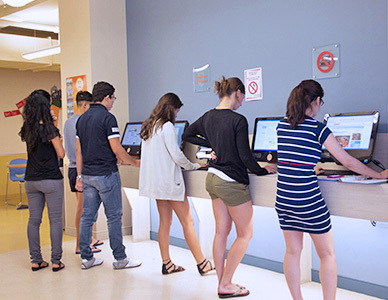 Students from Western European Countries & Japan do not have to arrange for a USA Visa in advance, as you can get one from USA Immigration at the border. Also, all passports must be valid for a minimum of 6 months and be machine readable. Get out of town with ILSC! 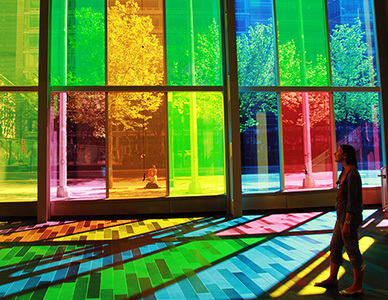 Explore Canada's incredible wilderness and vast urban and rural landscapes. There are endless natural and cultural sights to discover so each weekend will bring a new adventure. 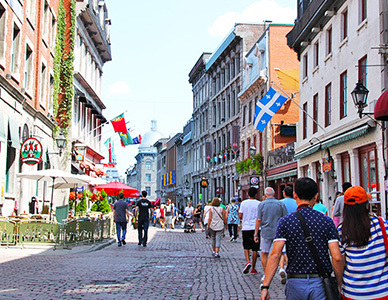 You can visit historic Quebec City, one of the oldest cities in North America, or head to Toronto for shopping and sightseeing in the city, and see the spectacular Niagara Falls.